The history of Giodo in Montalcino begins in 2002, when Carlo Ferrini, after years of research, finally identified his first hectare to purchase in the prestigious Brunello denomination; today, his winery, lying midway between Sant’Angelo in Colle and Sant’Antimo, relies on six hectares of vineyard. 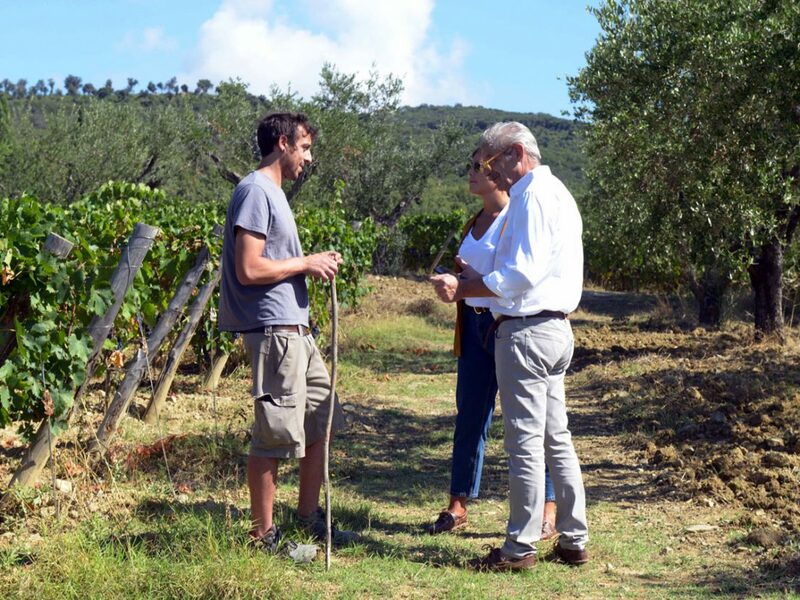 With respect to aspect, elevation, and soil types, the location is perfect for viticulture. 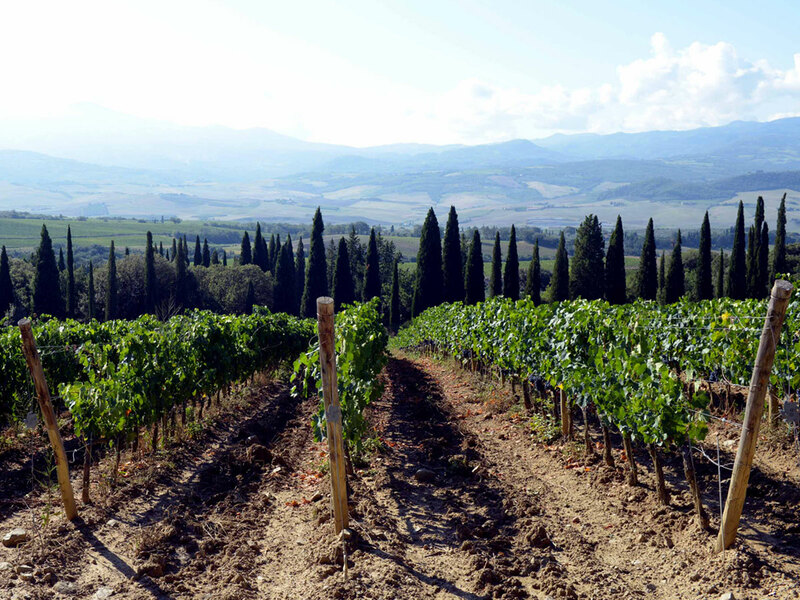 A majestic row of cypresses beckons visitors to this near-hidden, magical spot, while the vines dedicated to Brunello di Montalcino and to IGT Toscana enjoy a breath-taking panoramic view out over the sinuous hills of Montalcino as far as the massif of Monte Amiata. 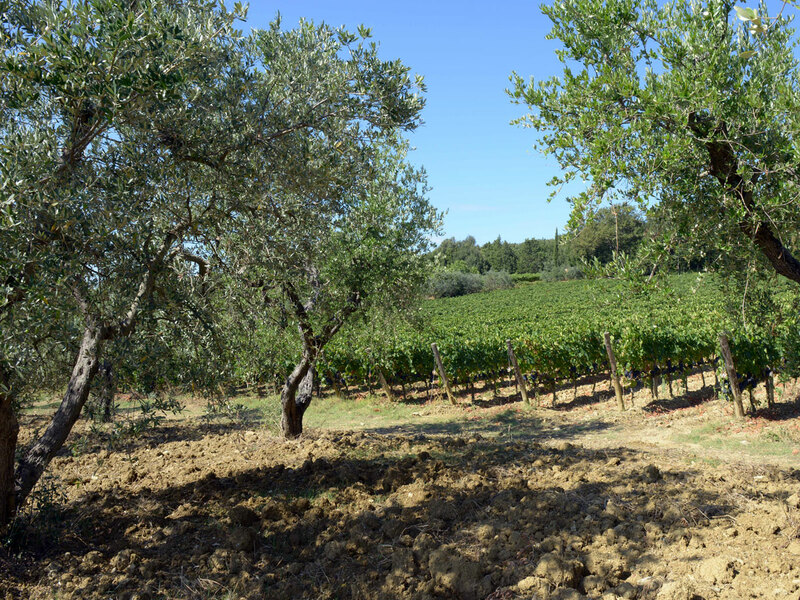 The final artistic touch is the picturesque grove of olive trees that yield the Giodo Toscano IGP olive oil.